Even amid the public outrage and pushback in the wake of whistleblower revelations about the global spy network, the establishment continues to push forward with justifications about why it is in our best interest to be under their constant watch. 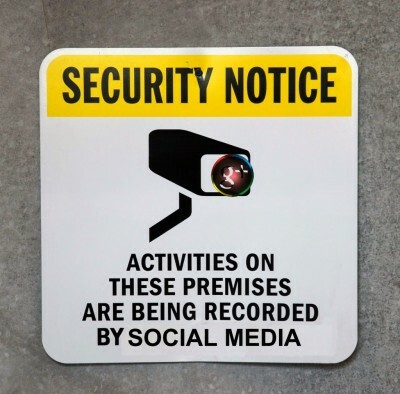 Social media is a playground for data harvesters of all stripes, but it is now apparent that it is becoming the single most pursued line of open surveillance. I reported recently about Twitter’s ChatterGrabber program that is “used to monitor tickborne diseases, such as Lyme disease, public sentiment involving vaccines, and gun violence and terrorism, serving as an early warning system for public health officials through suspicious tweets or conversations.” That story was followed shortly after by the announcement that Twitter would open up its entire database to MIT beginning with its very first Tweet in 2006. We know that Facebook has used their algorithms to go beyond surveillance and actually manipulate the emotions of users as a type of psychology experiment. And the list goes on. And a new term is born: social pollution . Not much of a stretch to see how this could merge with hate speech in the political arena and be used to silence legitimately dissenting voices. The press release below frames the Indiana University study. It’s a shameful use of public data, university tools and taxpayer funds. Combined with corporate social media platforms, this is fascism at its finest. My emphasis and parenthetical comments added. We study how individuals’ limited attention span affects what information we propagate and what social connections we make, and how the structure of social networks can help predict which memes are likely to become viral. We explore social science questions via social media data analytics. Examples of research to date include analyses of geographic and temporal patterns in movements like Occupy Wall Street, societal unrest in Turkey, polarization and cross-ideological communication in online political discourse, partisan asymmetries in online political engagement, the use of social media data to predict election outcomes and forecast key market indicators, and the geographic diffusion of trending topics. Truthy is an ensemble of web services and tools to demonstrate applications of our data mining research, from visualizing meme diffusion patterns to detecting social bots on Twitter. Modeling efforts to better understand how information spreads, why some memes go viral,competition for attention, the role of sentiment on the diffusion process, the mutual interaction between traffic on the network and the emergent structure of the network. Analyzing differences in meme diffusion patterns between different domains, such as news and scientific results, and the correlations between certain online behaviors and offline events. Expanding the platform to make the data derived from our analyses of meme diffusion and from our machine learning algorithms more easily accessible and thus more useful to social scientists, reporters, and the general public. In an ironic turn of events, the project has itself become the target of a disinformation campaign online and on TV. Read our post: The Truth about Truthy. Yes, real ironic. I encourage you to go ahead and read “The Truth about Truthy” linked above – If the program itself is Orwellian, the defense of it is doubly so.